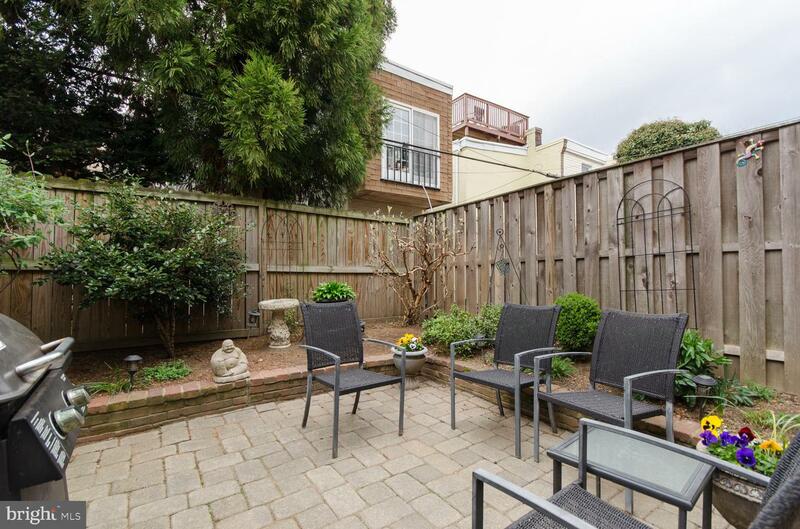 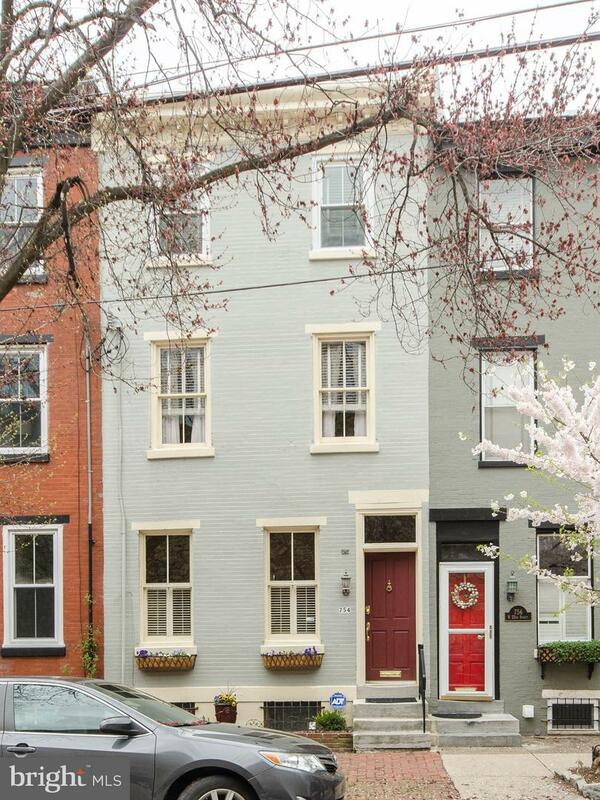 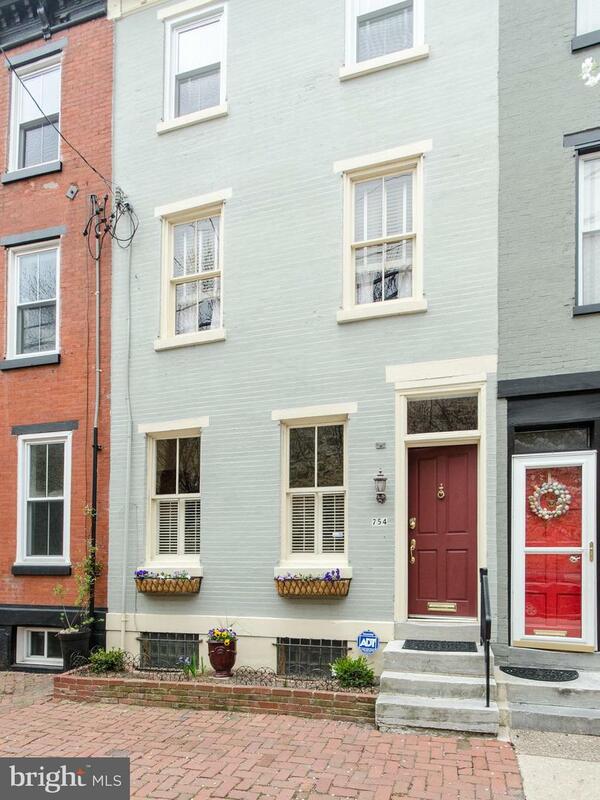 Great opportunity to live in a quiet central Fairmount location in a 3 story, 3 bedroom, 2 bath home. 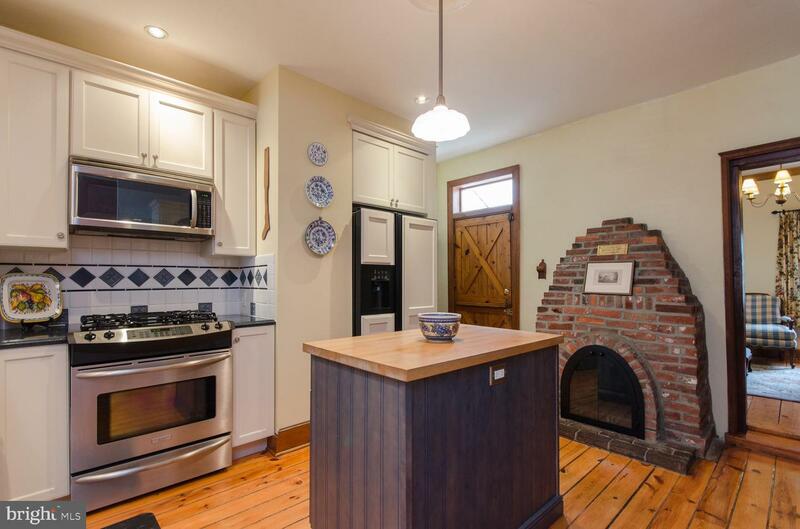 New kitchen, newer bathrooms, new air conditioning compressor, a spacious sunny back garden and the historic charm of exposed brick, wood floors, new windows, high ceilings, terrific lighting and a separate dining room/den adjacent to a sunny landscaped garden. 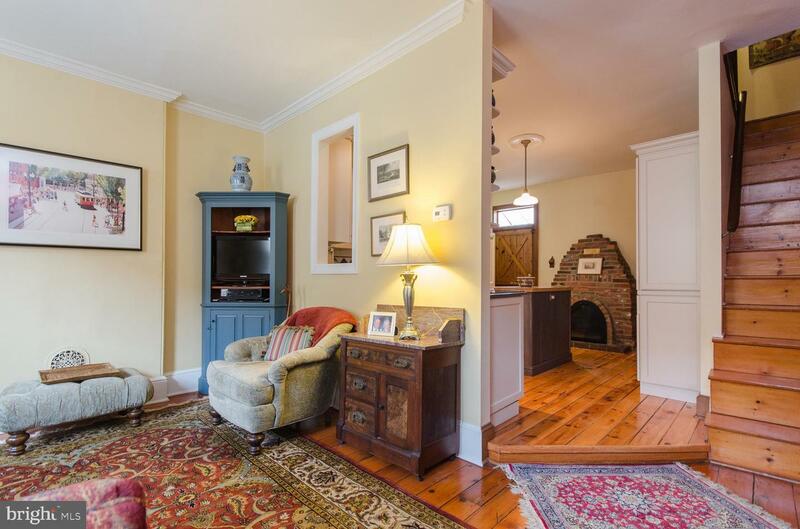 First Floor features front living room with morning sun and opens to spacious new kitchen with butcher block island, custom China cabinet, farmhouse sink, brick fireplace and Dutch door to bricked patio and garden with space for entertaining and grilling. 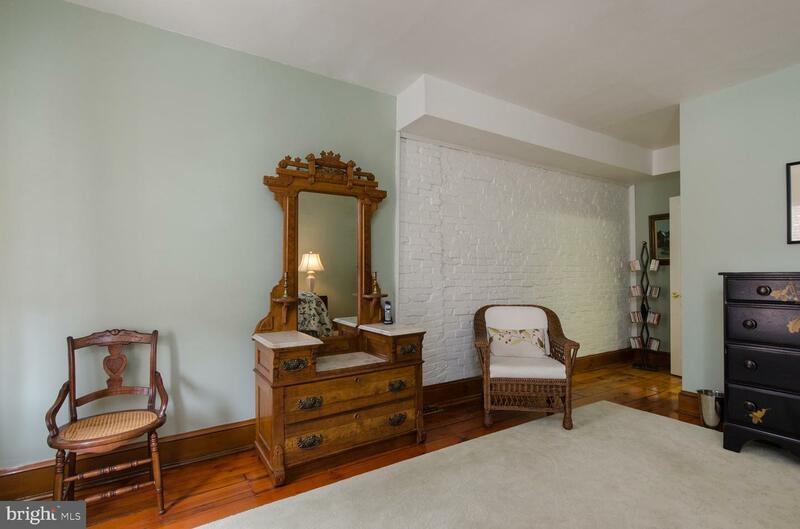 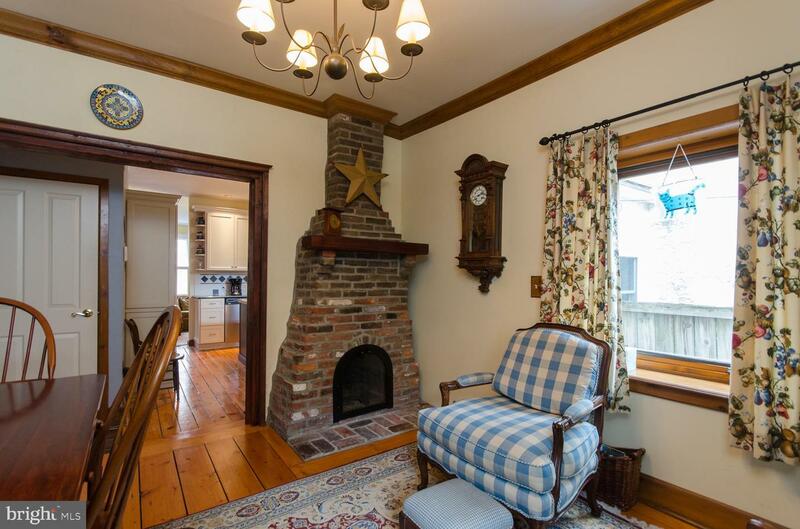 West and South-facing room overlooks the garden with exposed brick wall and charming brick fireplace. 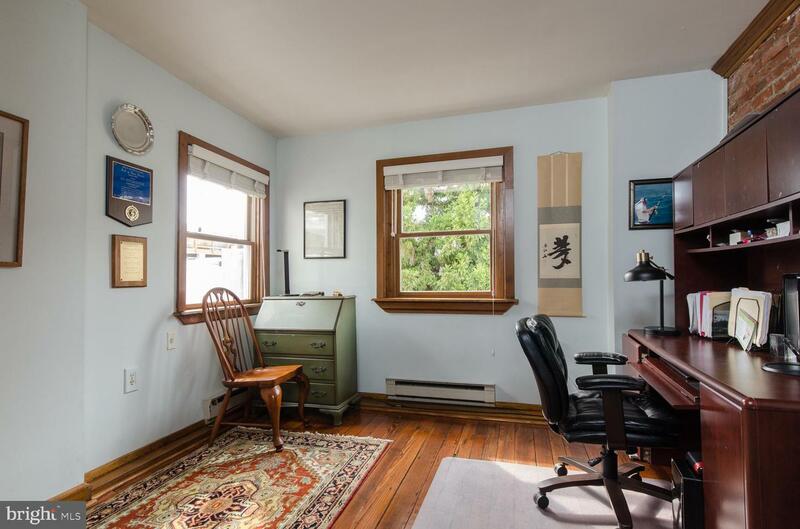 Second Floor: The smallest of the three bedrooms is at the top of the stair and is currently used as a home office with two windows, exposed brick and a nice-sized closet. 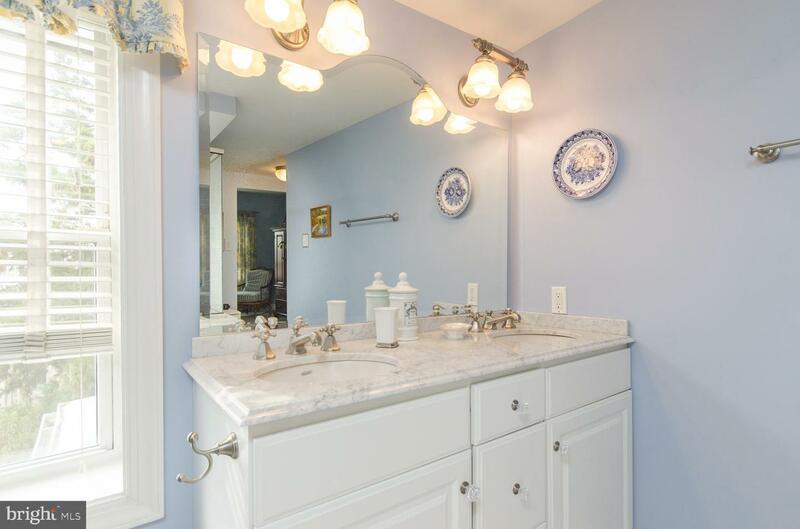 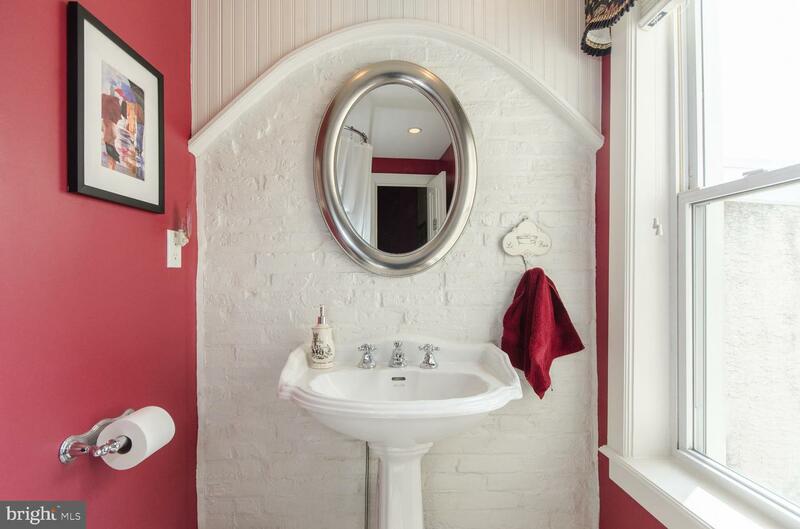 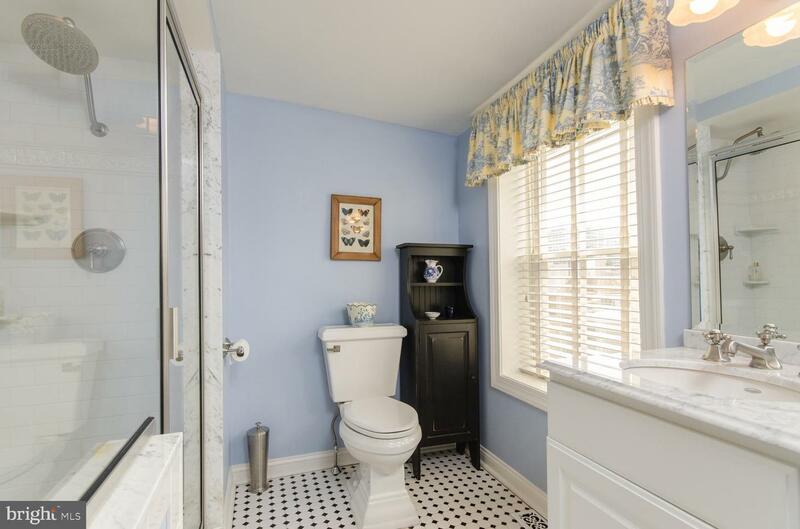 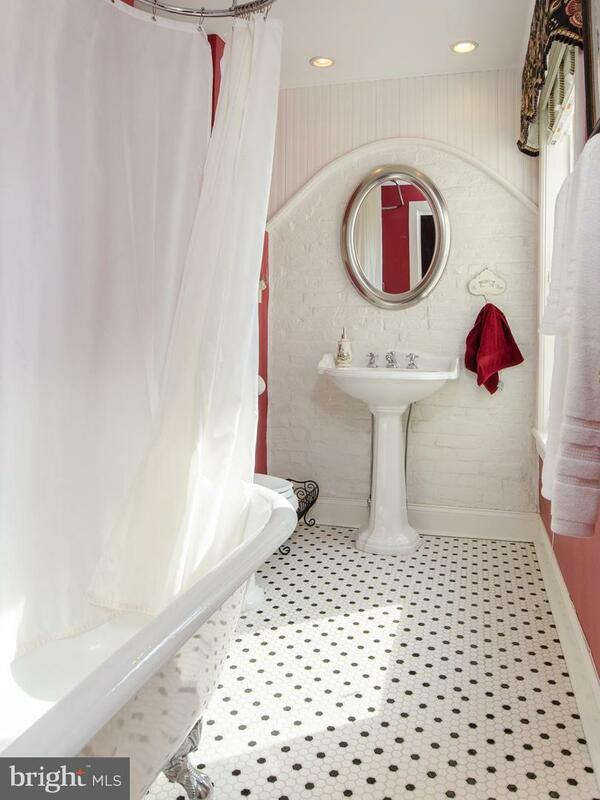 A charming sunny full bath is off the hall and features a claw-footed tub, a pedestal sink, tile floor and wood wainscoting. 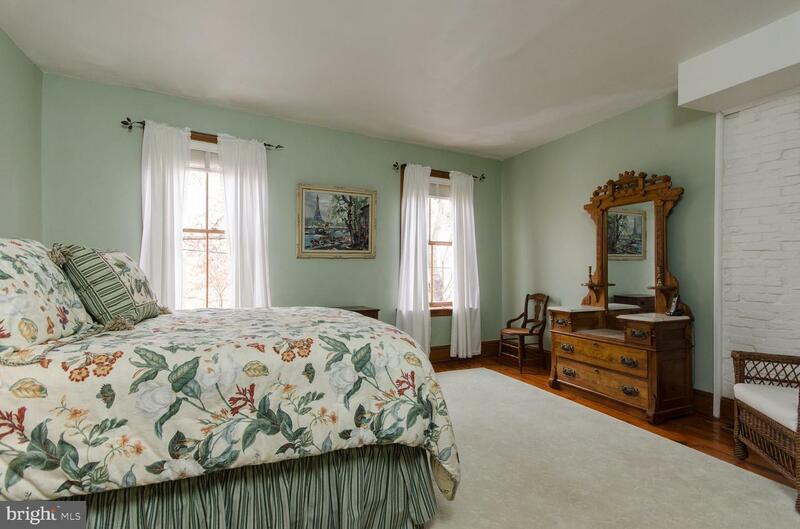 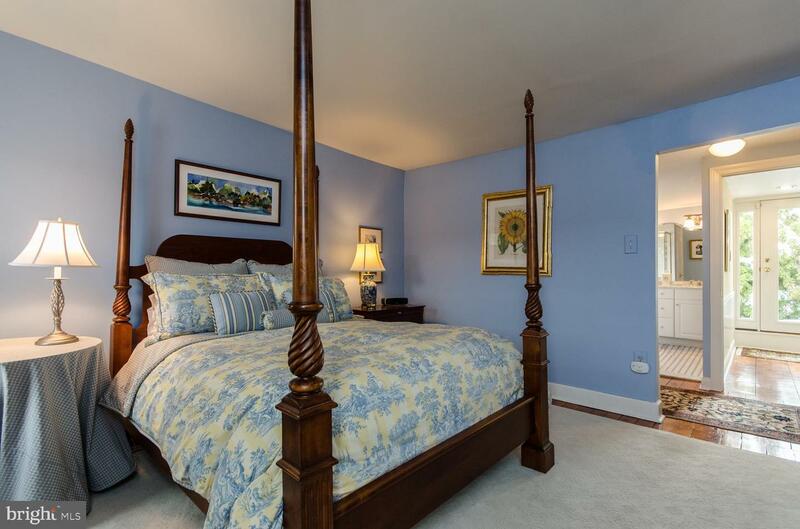 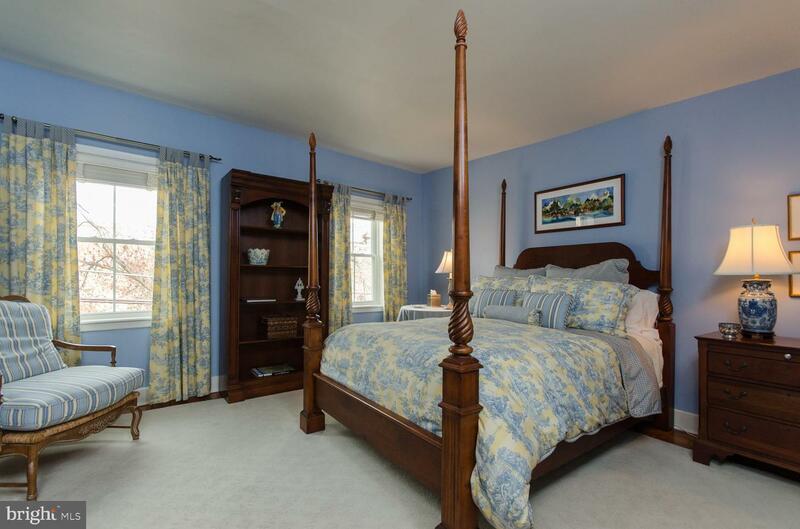 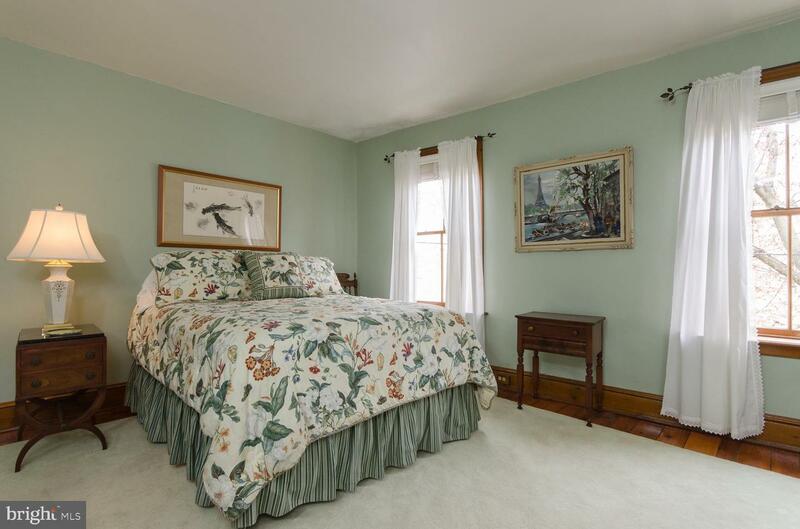 Second front is a larger bedroom with a walk-in-closet, high ceilings and sunshine from wide 22nd street. 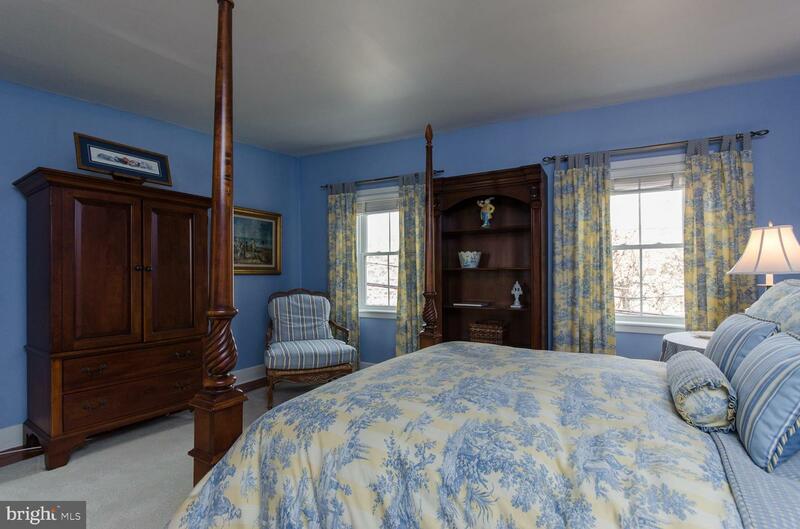 Third Floor is the Master Suite with an en-suite bath with marble top vanity with two sinks, tile floors, large stall shower, and a window facing West. 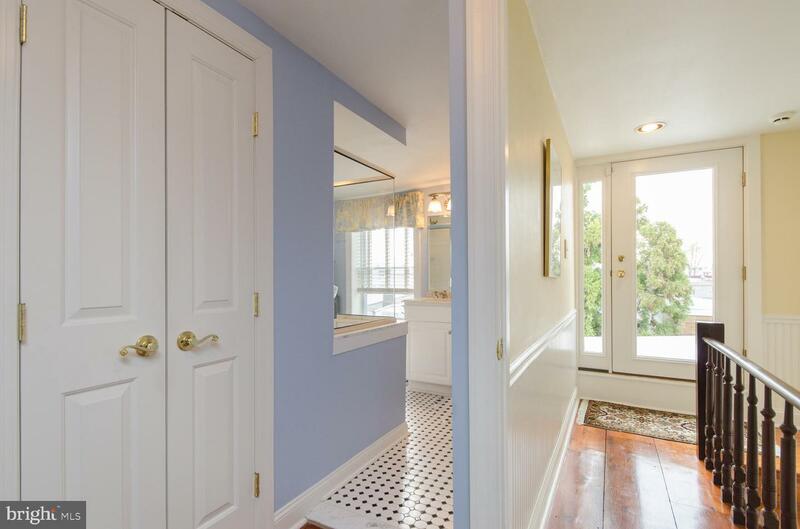 Glass door to the roof which could easily accommodate a one or two story roof deck. 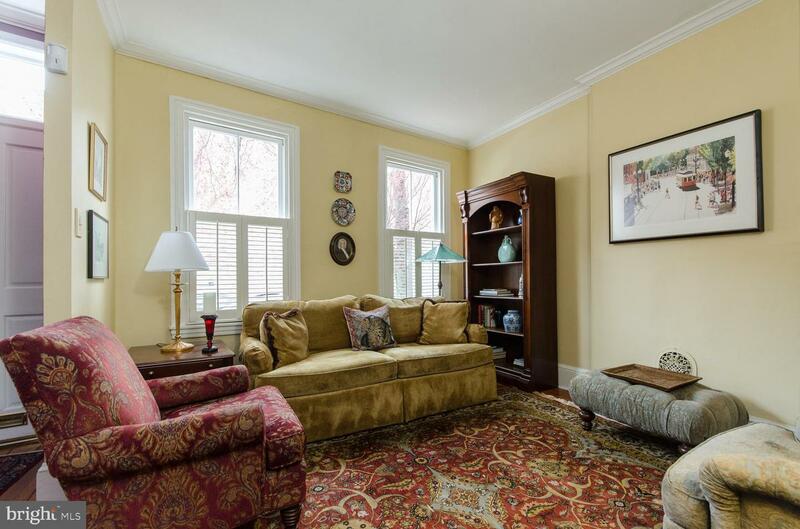 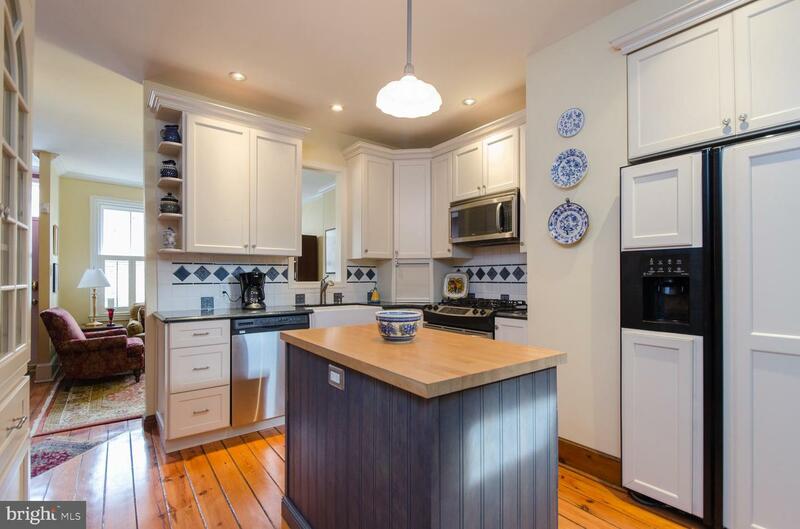 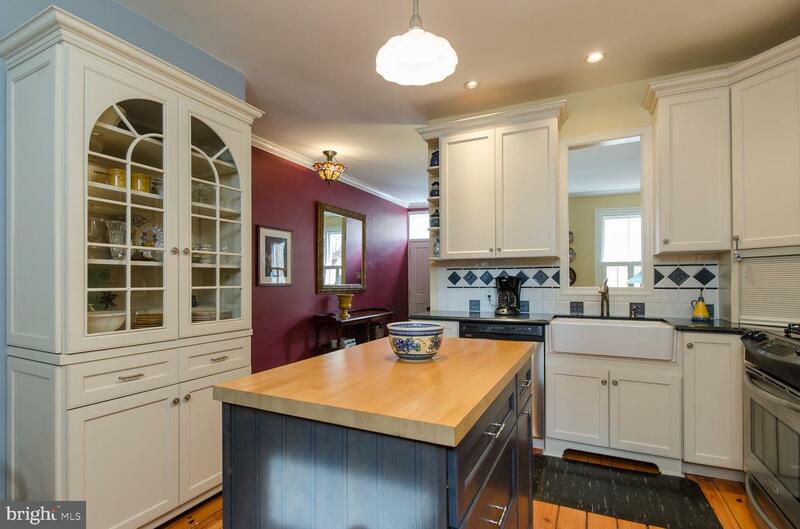 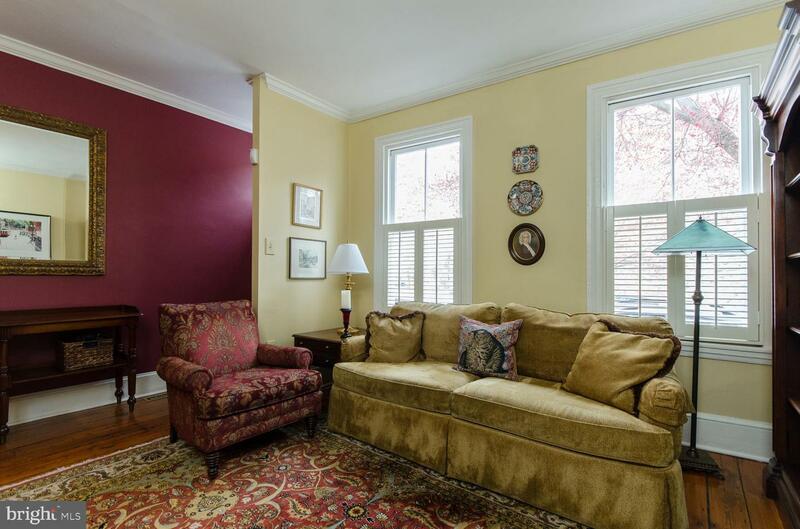 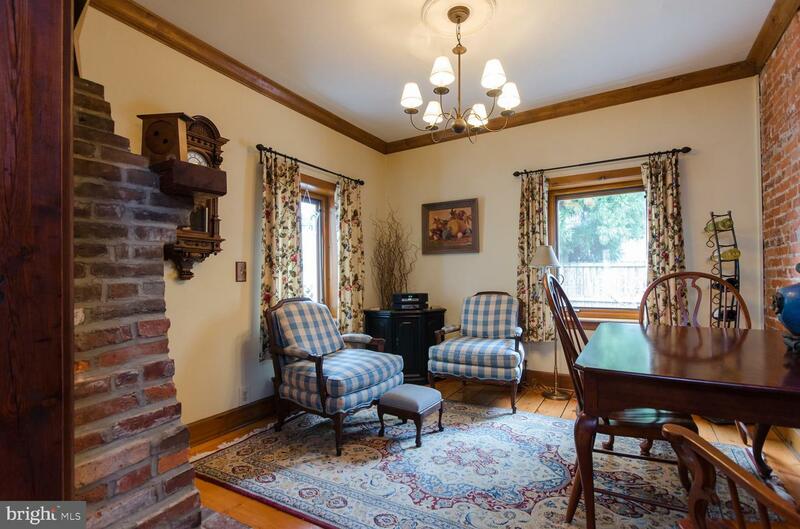 This is a warm and wonderful home - the charm of an older home with newer systems. 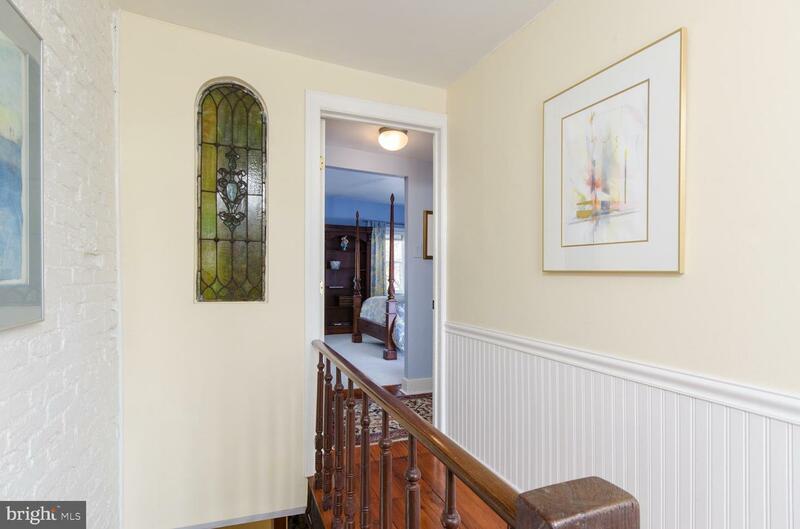 One block from Bache-Martin School and Fairmount Ave. Close to museums, Fairmount Park and The Schuykill River Trail/Kelly Drive, playgrounds, restaurants, universities and all the wonderful services of Fairmount.